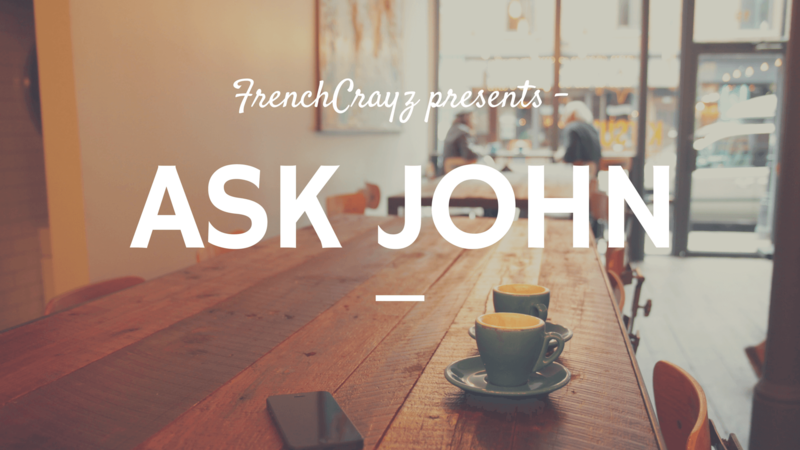 Every Friday the founder of FrenchCrazy, John Elkhoury, will answer one of your questions related to learning French and living in France. Check out the entire ASK JOHN series! To submit your question, fill out the contact form at the bottom of this page. Best Way to Learn the Tenses in French? Is it easier to learn French from English or English from French? How do I overcome my embarrassment of trying to speak in a French accent? I’m John, the founder of FrenchCrazy.com. I started learning French back in 2004 through a mix of self-study, classroom learning, studying abroad, and frequent trips to France. I’m a fluent French-English bilingual with a university degree in French and another degree in Neuroscience. I also have a minor in linguistics and helped work in a bilingual research development lab. I understand a lot about French and Francophone culture due to living and working in France on multiple occasions. I have made countless French friends, dated in France, and conversed with many strangers (in French) for hours at a time. I understand what needs to be done to master French, because I’ve done it myself. Feel free to ask a question in hopes that you’re featured on our weekly segment. NOTE: only use the form below to ask general questions that can be featured on AskJohn. If you have a specific question for then you’ll need to email us – because we don’t respond to inquiries submitted this way.